In the ballroom of the Tyler Historical Center, there will be a brief program on the history of Selma and the grassroots effort of the local people to secure the right to vote fifty years ago. Then we will walk silently, two by two across the Mahoning River over the Frank Sinkwich Bridge, commonly known as the Peanut Bridge, ending at the B&O Station. 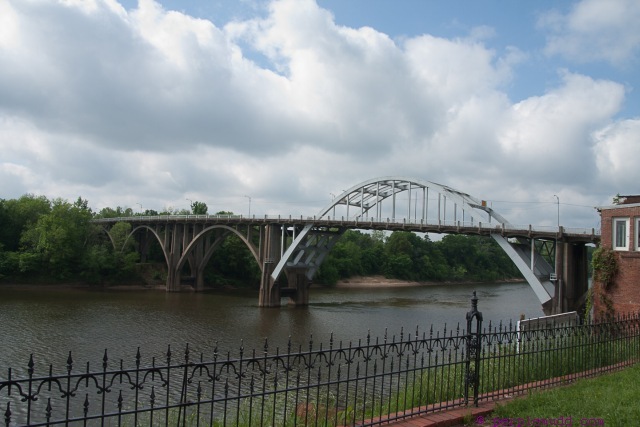 Fifty years ago, six hundred marchers from Selma, Alabama walked from Brown’s Chapel across the Edmond Pettus Bridge on their way to Montgomery, the capital of the state. They were walking for freedom and the right to register to vote. Led by John Lewis and Hosea Williams, they were met at the other side of the bridge by a sea of blue. The order was given to turn around and go back to their homes or churches, but before they could turn around or kneel to pray, the state troopers and sheriff’s “posse” advanced on the marchers beating them with clubs, running over them with their horses and shooting tear gas into the crowd. John Lewis had his skull fractured. He said, “I thought I was going to die.” This march became known as “Bloody Sunday”. The national outrage over the events at the Edmond Pettus Bridge led to the passage of the Voting Rights Act in August, 1965.